My body is the temple of the Holy Spirit and all the fullness of God dwells in me. I glorify God in my body and in my spirit which are His. (1 Cor 6:19-20; Eph. 3:19). Thanking God for your refreshing testimony. It just edifies to see the same hand of God manifesting in different people alike. To address your question, the answer may not be as simplistic in identifing exactly what is wrong in the situation of delays. Faith — To what extent does the person believe? Works-. How much does his/her actions align with the expectations? Confessions- what are they saying? Satan – very stubborn and slow to relent and so there is a doggedness that is required to go through the process. Timing – I stand to be corrected on this, but I don’t think all healings have to be instant. Some go through their process (which may be a necessity in God’s, scheme of things. When people expect it to be instant, they walk away with reduced zeal to fight through if they don’t get it immediately. Most significantly, we must start with the truth that God is infallable. If anything goes wrong, its certainly not God. That leaves it to us; some omission or misunderstanding of technicalities. I hope that this helps. You already have your healing. Faith is now. When Jesus died you were healed. It never changes in the heavenly realm. You are always healed. Our bodies might change but Gods word never does. This came by revelation to me and can only come by God showing you plus you have to keep meditating on this truth to get down deep in your heart. Andrew Womack has a series you can find on YouTube called ‘you’ve already got it’. It is a series of 5 or 6 teachings which will bless you. In Mark 4, the sower sowed THE WORD. In Luke 17, Jesus spoke of FAITH AS A SEED. Paul said, “I have planted, Apollos watered, but God gave the increase. The more we read, hear and speak Gods word, in expectation, the more we renew our mind. There are many things we hear and see each day that are not faith in God. The seed of Gods word is planted in our hearts. When we read, hear and speak Gods word aloud, we are planting, and watering. Keep doing that, and God will give the increase. You will see the fruit of healing in your body. Madelaine, Jesus said, “According to your faith let it be done unto you.” Jesus never holds out on us so it must be something we are doing or saying that is contrary to what we want Jesus to do or we are not acting on the Word with our thoughts, words or actions. Sometimes people believe Jesus still heals but aren’t sure He will heal them. Sometimes people are so used to acting like they are still sick that they don’t act on the Word. I would have been confined to a wheel chair if I hadn’t woken up and realized that as I acted on The Word, healing would come. I walked back and forth in my room one afternoon, while still in pain and kept repeating out loud to myself, “Healed people can walk without hurting and I am healed in the Spirit and it is manifesting in the flesh now, in the Name of Jesus!” and I quoted healing scriptures out loud too. And I kept thanking Jesus for everything that wasn’t hurting. It wasn’t long before it didn’t hurt to walk and I’m still healed. Satan will come and talk to my mind or bring a pain symptom but I respond out loud and don’t receive it, cast the lying symptoms away and remind him that I am healed, in Jesus Name, amen. There is a book by Andrew Wommack entitled, “God Wants You Well”. If you go to his website http://www.awmi.net, you can request a copy. You can also find this teaching on YouTube, and I heartily recommend listening to it. I truly believe it will give you answers. I have a question. If anyone can shed light, I would so appreciate. I’ve had a horrifying “incurable” sickness in the past. Of course God healed me, but it took a few years because I had to learn that it WAS ALWAYS God’s will to heal me (and everyone). I’d been taught it was God’s will for me to suffer, so that stronghold had to come down. I was suffering excruciatingly 24/7, confined to bed (no big deal), but the excruciating non-stop torment was a big deal. Hard to learn, battle, do anything in that condition. Many people with same affliction I had, commit suicide. I wanted to, but was afraid of hell. Here is what I now believe, and no one can persuade me otherwise! This truth has roots that aren’t going anywhere but deeper. It is ALWAYS God’s will to heal everyone, and He will never turn down anyone who asks Him. And it is ALWAYS his will to do it immediately. Both are based on Scripture (not on circumstances I see around me). It’s just based on the simple truth that Jesus is the revealed will of God. He never did anything apart from the Father. And the two things I stated are both true of Jesus. I know someone has an answer to this question. So I keep asking bc it’s SO important for the people I am ministering to. God’s will is to always heal immediately. My friends’ wills are to be healed immediately. That only leaves the enemy, and he has been completely defeated. So for a person who is saved and has repented for any and all sin and is living in holiness daily to the best of their knowledge, WHAT is causing long delays? not days or weeks, but months or more. I cannot find anything in Scripture that would indicate there should ever be a delay. Not if we’ve taken care of everything I’ve mentioned. The only delay I see defined–which had nothing to do with healing–was in Daniel 9 and 10. 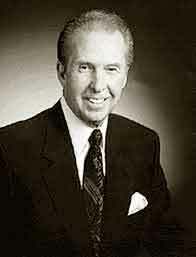 Ken E. Hagin always had 100% healing (unique ministry). They had Rhema school of healing in the 80’s–for 2 weeks, full-time. Many, many times. Only sick people could attend. He taught how to get healed and keep it. And if anyone was having difficulty obtaining it for themselves, he would have healing lines, pray for anyone who hadn’t received yet, and they would receive. IF they didn’t receive, then God gave his wife a word of knowledge as to what was standing in the way. I’ve heard some of the stories, and they are unusual things that I wouldn’t guess could hold up a healing (not giving tithe for instance). This unique ministry was going on 40 years ago. I’m thinking the kingdom advances, and surely there is some place I can get words of knowledge (when I’m not receiving them myself) to help these hundreds of people (thousands soon) receive the healing Jesus paid for. There is just something “stuck”, and I’m looking for someone who can help me. Thank you Jesus. I believe what I’m asking for is according to your will, therefore I believe I’ve received. YAY!!! Looking forward to seeing the answer.